Fresh from confirmation that he will host the 2019 Irish Open, Paul McGinley is believed to be considering SWING’s own Lahinch Golf Club to stage the event. News broke in early February that McGinley will be become the first in a series of Irish golfing greats including Darren Clarke and Graeme McDowell who are set to host the event in rotation in the coming years. With the British Open taking place at Royal Portrush a fortnight after, It is thought that McGinley feels it is vital the event is played on a links course and has recommend Lahinch to the European Tour, who are due to conduct a feasibility study there in March. McGinley, who in 2017, became an Honorary Life Member of another SWING Course and a former Irish Open venue, Killarney Golf & Fishing Club, won the South of Ireland Championship at Lahinch in 1991. This win acted as a spring board for him into the professional ranks meaning the Lahinch retains as special place in his heart. 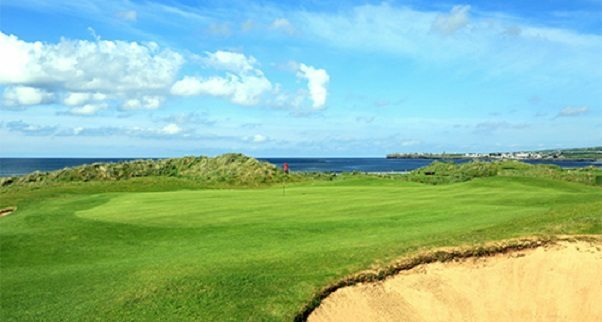 The SWING courses have a strong tradition with the Irish Open with the event previously taking place at the aforementioned Killarney Golf Club (1991,1992, 2010 & 2011) along with Ballybunion (2000), Adare Manor (2007 & 2008) and Cork Golf Club (1932).